May 2015! That's the cut off date for additions & alterations being allowed to use the 2009 BCA for energy efficiency compliance. If you're thinking of doing some work to your place our advice is do it NOW! After May next year your addition/alteration will need to be assessed 'including' the existing home by using the 2014 BCA which may add thousands of dollars to your budget. Get your energy efficiency assessments done now before the change & you may well save yourself quite a few dollars. 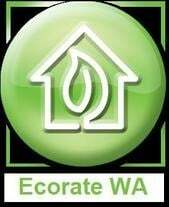 We have always provided WA's quickest & most cost effective building energy efficiency certification, we will even beat any genuine competitors quote, so contact us, we're good for your pocket & your home.